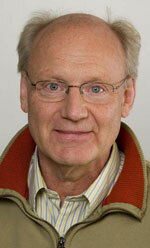 Contact person: Senior lecturer Anders Hydén, phone: +46 (0)26 64 82 17. Anders Hydén defended his doctoral dissertation titled ”Passage to India. An Anthropological Study of Discipleship and Transcendence in the Bhagwan Movement” at the Dept. of Social Anthropology, Lund University, in 1991. At the University of Gävle he is now working with research on family, gender and career in India, with a project titled ”Compartmentalization and Elite Womens Career”. It is a study on gender differentiated career among upper middle class families in South India. A collaboration project has been established between the department and the School of Social Work at the Tata Institute of Social Sciences (TISS) in Mumbai, India. The contact person on the Indian side have been Professor Lina Kashyap (chairperson of TISS’ Centre for Disability Studies & Action) and Associate Professor Neela Dabir from TISS’ Centre for Equity for Women, Children and Families. The collaboration project got financial support from the Swedish International Programme Office for Education and Training (Internationella programkontoret) in the form of Linnaeus-Palme International Exchange Programme grants. The grant was first given in March 2007, for exchange activities involving sending teachers and students both ways from 2007-08. In December 2007, Anders Hydén and the Director of Studies Tomas Boman, visited TISS in Mumbai; Mr. Hydén visited again in July 2008, and a further trip from a colleague in the department took place in November; in May 2008 Lina Kashyap and Neela Dabir visited Gävle to finalise the forms for the exchange programme, which started in 2009. The project has later received continued funding, recently for the period 2014-15. More information about the South Asia related Linnaeus Palme projects for 2014-15. Sanaya Singh has a BSc in Social Work and works as a Lecturer at the department. Originally coming from Mumbai in India, Sanaya Singh moved to Gävle in 2008 to study international social work in Sweden. Sanaya has attended SASNET’s Falsterbo conference in 2011, presenting a paper entitled ”Challenges faced by women in progressive politics; comparative analysis of Swedish and Indian perspectives”. More information. Currently (2015) Sanaya is also pursuing a Masters degree in Gender, Intersectionality and Change from Linköping University (now in the final semester!). Sanaya has been strongly involved in promoting Indian culture, music, dance and folklore in Sweden. 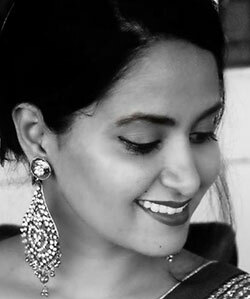 Trained in Bharata Natyam classical dance, but also conducting Bollywood dance classes and workshops, she performs at various cultural events. She conducts Indian dance and Yoga classes in Gävle, and workshops at other places around Sweden. One such occasion was at the inauguration of the art exhibition entitled ”Voice for the Voiceless”, held at Väsby konsthall, outside Stockholm, 30 August – 21 September 2014. More information. Besides, she was chosen as ”Miss India Sweden 2015”. As such, she represented Sweden at the Miss India Worldwide competition that was held at Mumbai on 5 September 2015. More than 40 contestants of Indian origin settled in various countries across the globe between the age of 17 years and 27 years, unmarried and citizens, residents, or born in the country they represent, participated in the Miss India Worldwide pageant (more information). On 15 November 2015, at 15.00 Sanaya Singh will be one of the participants in a charity concert in Sandviken, dedicated to underprivileged children in India. The contributions donated will go to Wings to Hope, a Swedish NGO working in Mamallapuram, Tamil Nadu. The concert will be held at Musikverket, Kulturcentrum in Sandviken. More information.